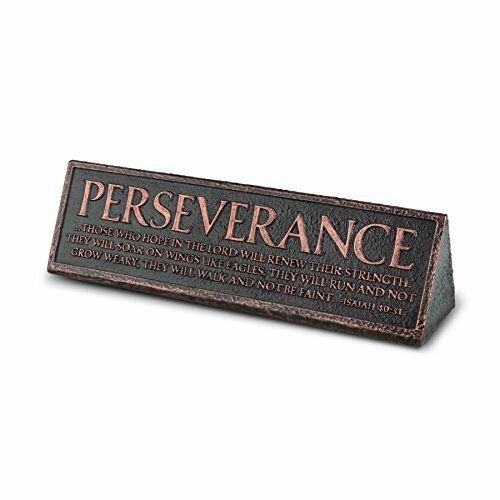 The "perseverance" desktop reminder plaque is made of cast stone and has a raised title and Scripture. Also featuring metalized copper finish accents. Includes "we all need hope" booklet. "We all Need Hope" booklet included!